Novelists have a way with words, of course, but perhaps the most quotable novelist of all time was Mark Twain (1835-1910). His given name was Samuel Longhorne Clemens, and he grew up in Hannibal, Missouri. 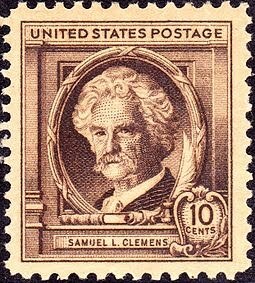 Famous for the American classics Adventures of Huckleberry Finn (1884) and The Adventures of Tom Sawyer (1876), he also wrote dozens of other works of fiction and nonfiction, including The Celebrated Jumping Frog of Calaveras County (1867), Life on the Mississippi (1876), The Prince and the Pauper (1882), and A Connecticut Yankee in King Arthur's Court (1889). He achieved fame as a novelist, a humorist, and a satirist. He was a literary legend in his own time. William Faulkner called him "the father of American literature." On COMPASSION - “The best way to cheer yourself up is to try to cheer somebody else up." On FRIENDSHIP - “To get the full value of joy you must have somebody to divide it with." On RATIONALITY - "For every complex problem, there is a simple answer...and it is wrong." He was truly one of the greatest authors. Few today can come close to matching his spirit. Great quotes. He was quite a character as well as a great author.